Currently, a third of the electric power and 95 percent of home heating in Iceland is produced from steam and hot water that occurs naturally in volcanic rocks. Elders and colleagues report in the March issue of Geology (the research paper was published online on Feb. 3) that although the Krafla volcano, like all other volcanoes in Iceland, is basaltic (a volcanic rock containing 45-50 percent silica), the magma they encountered is a rhyolite (a volcanic rock containing 65-70 percent silica). Elders explained that in geothermal systems water reacts with and alters the composition of the rocks, a process termed “hydrothermal alteration.” “Our research shows that the rhyolite formed when a mantle-derived basaltic magma encountered hydrothermally altered basalt, and partially melted and assimilated that rock,” he said. Elders and his team studied the well within the Krafla caldera as part of the Iceland Deep Drilling Project, an industry-government consortium, to test whether geothermal fluids at supercritical pressures and temperatures could be exploited as sources of power. 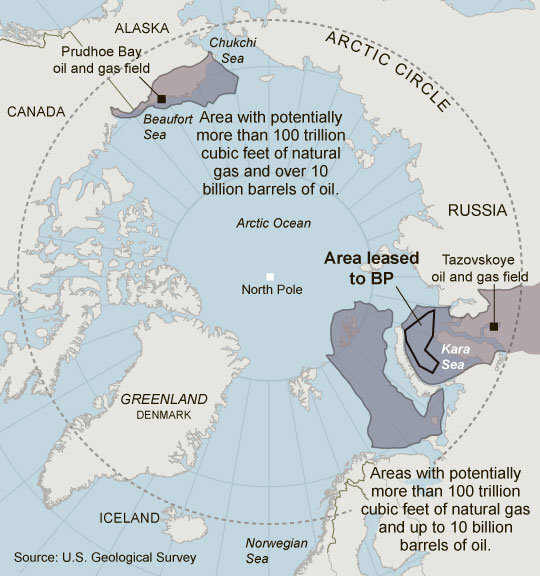 Elders’s research team received support of $3.5 million from the National Science Foundation and $1.5 million from the International Continental Scientific Drilling Program. 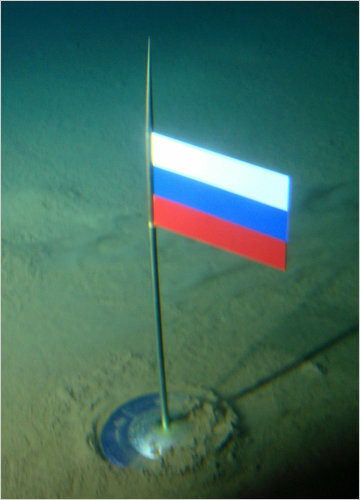 In the spring of 2009 Elders and his colleagues progressed normally with drilling the well to 2 kilometers (6,600 feet) depth. In the next 100 meters (330 feet), however, multiple acute drilling problems occurred. In June 2009, the drillers determined that at 2104 meters (6,900 feet) depth, the rate of penetration suddenly increased and the torque on the drilling assembly increased, halting its rotation. When the drill string was pulled up more than 10 meters (33 feet) and lowered again, the drill bit became stuck at 2095 meters (6,875 feet). An intrusion of magma had filled the lowest 9 meters (30 feet) of the open borehole. The team terminated the drilling and completed the hole as a production well. Elders believes it should be possible to find reasonably shallow bodies of magma, elsewhere in Iceland and the world, wherever young volcanic rocks occur. “In the future these could become attractive sources of high-grade energy,” said Elders, who got involved in the project in 2000 when a group of Icelandic engineers and scientists invited him to join them to explore concepts of developing geothermal energy. The Iceland Deep Drilling Project has not abandoned the search for supercritical geothermal resources. 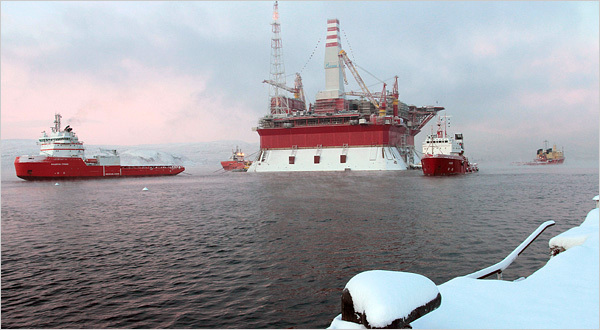 The project plans to drill a second deep hole in southwest Iceland in 2013. Elders was joined in the research project by researchers at HS Orka hf (HS Power Co.), Iceland; UC Davis; Stanford University; Iceland GeoSurvey; Landsvirkjun Power, Iceland; the U.S. Geological Survey; New Mexico Institute of Mining and Technology; and the University of Oregon, Eugene. Those who investigate Neanderthal remains have long known of a puzzling gap — elderly individuals are rare. Scientists have thus suggested that these prehistoric humans might have had an inherently shorter life expectancy than us modern humans, with our lineage ultimately outnumbering theirs, and so contributing to their demise. Not so, according to a new study. Our once closest living relatives likely had similar life spans as us. Our species, Homo sapiens , is the only surviving lineage of the genus Homo. Still, there once were many others, all of whom could also be called human. Anthropologist Erik Trinkaus at Washington University in St. Louis analyzed fossil records to gauge the adult life spans of Neanderthals and early modern humans, which coexisted in different regions for about 150,000 years. He found roughly the same number of 20- to 40-year-old adults and adults older than 40 in both Neanderthal and early modern human populations, suggesting life expectancy was probably the same for both. Trinkaus did caution that a number of factors might skew his life-expectancy calculations. For instance, all these archaic and modern humans apparently had very mobile lifestyles during the Pleistocene to search for their next meals. That likely means any older members who could not keep up were left behind to die, and their remains would have been scattered by scavengers and lost from the fossil record. Still, “new fossil discoveries could change the pattern some, but it is unlikely to alter it very much,” Trinkaus said. Overall, he contends that longevity did not factor into the extinction of Neanderthals. If early modern humans did have a population advantage, he argued, it was probably more due to high fertility rates and lower infant mortality. Trinkaus detailed his findings online Jan. 10 in the Proceedings of the National Academy of Sciences. 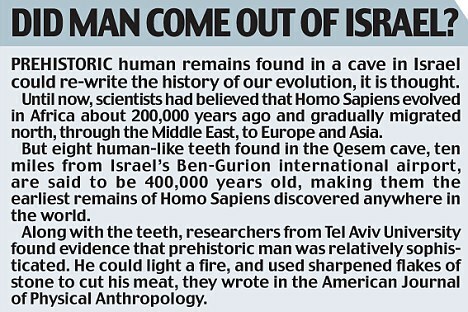 For years it was believed the Neanderthals were carnivores who devoured meat. But new research has found that not only did our primitive ancestors eat a lot of greens, they were able to cook them as well. It was widely believed that the limited meat-only diet of Neanderthals and their lack of cooking skills contributed to their extinction. Their rivals Homo Sapiens, our direct ancestors, who lived alongside them were more adaptable as they had a wider variety of food sources to choose from. But a microscopic analysis of the fossilised teeth of Neanderthals reveals their diet was more varied than previously thought – with their vegetable intake including beans, roots and tubers and palm dates. 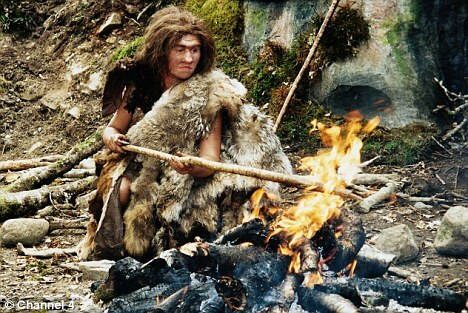 The evidence, from cave sites in Iraq and Belgium, also suggests Neanderthals controlled fire in much the same way as Homo Sapiens. Many of the plant remains had undergone physical changes that make scientists believe they were cooked before they were eaten. Researchers are still trying to identify remains of other plants on the teeth. Neanderthals are thought to have migrated from Africa between 300,000 to 400,000 years ago. They were followed 70,000 years ago by Homo Sapiens, but around 30,000 years ago, Neanderthals died out – the exact reason for which remains a mystery. Excavations carried out as part of the Gibraltar Caves Project had revealed that seafood figured in the Neanderthal diet. Hearth embers, shells, animal bones and the remains of marine species were found in the Gorham and Vanguard caves, on Gibraltar’s eastern flank, by an international team of scientists led by Chris Stringer from London’s Natural History Museum and Clive Finlayson from the Gibraltar Museum. An impression of the Neanderthals’ coastal foraging habits and diet was provided by the discovery of fossiled bones and shells from dolphins, monk seals and mussels alongside the more expected bear, ibex, red deer and wild boar. Many of the bones showed signs of damage from cutting and peeling, and the mussels were apparently warmed on a fire to open them up. Earlier this week, scientists revealed a new variety of humans called Denisovans lived alongside Homo Sapiens and Neanderthals. 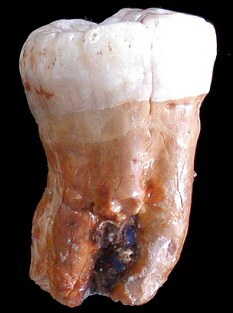 The cavemen were identified from DNA taken from a tooth and finger bone found in a cave in Siberia. It was found in the Denisova cave in the Altai Mountains in southern Siberia in 2008 alongside ornaments and jewellery. Provisional tests published earlier this year suggested that the remains belonged to an entirely new species. The Denisovans were physically different from the thickset Neanderthals and modern humans, although they also walked upright. Archaeologists on the island of Crete have discovered what may be evidence of one of the world’s first sea voyages by human ancestors, the Greek Culture Ministry said Monday. A ministry statement said experts from Greece and the U.S. have found rough axes and other tools thought to be between 130,000 and 700,000 years old close to shelters on the island’s south coast. “The results of the survey not only provide evidence of sea voyages in the Mediterranean tens of thousands of years earlier than we were aware of so far, but also change our understanding of early hominids’ cognitive abilities,” the ministry statement said. The tools were found during a survey of caves and rock shelters near the village of Plakias by archaeologists from the American School of Classical Studies at Athens and the Culture Ministry. “Up to now we had no proof of Early Stone Age presence on Crete,” said senior ministry archaeologist Maria Vlazaki, who was not involved in the survey. She said it was unclear where the hominids had sailed from, or whether the settlements were permanent.